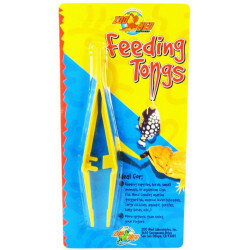 Welcome to the Reptile Tongs & Feeder superstore! Feeding reptiles requires a gentle touch; for one, they can be slightly unpredictable, and you never want to get bitten or snapped at. Two, certain species can carry diseases or venom, and putting your fingers near their mouths is something you should try to avoid. Three, many of their favorite foods can be uncomfortable to handle, including live worms, crickets and other creepy crawlies. 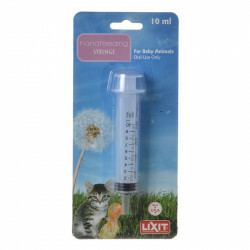 Using safe, practical feeding tongs or syringes makes feeding time far safer, more efficient, and human-friendly. 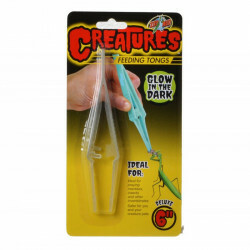 Pet Mountain's Reptile Tongs & Feeder store features top quality products from the most trusted names in reptile care and feeding, including Zoo med, Penn Plax, and Lixit. 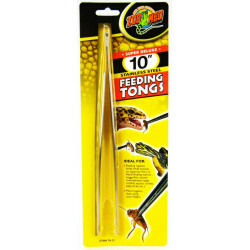 Zoo Med Stainless Steel 10 Inch Feeding Tongs are ideal for feeding reptiles, birds, small animals, or aquarium fish. 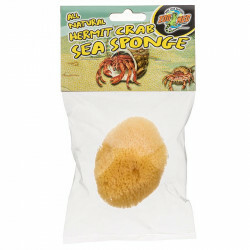 They are excellent for hand feeding marine triggerfish, marine invertebrates, large cichlids, aquatic turtles, baby birds, etc. They are more hygienic than using your fingers, and let you avoid touching yucky mealworms, crickets, snails, and similar live or preserved foods. 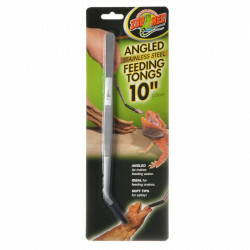 The Zoo Med Hanging Mealworm Feeder adds excitement to your reptile's feeding time. Give your reptile the joy of "hunting" these worms from the hanging feeder, as worms slowly fall from holes in the cup while your pet watches in excitement. This provides a more enjoyable experience for your pet, as opposed to dumping food directly on the dish. 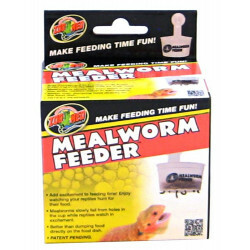 The Zoo Med mealworm feeder makes feeding time fun and easy! 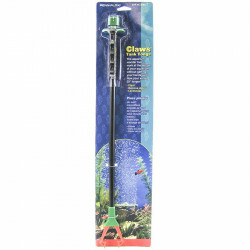 The Penn Plax Claws Tank Tongs are the perfect way to clean your aquarium without getting your hands wet. Ideal for planting, aquascaping, redecorating, removing debris and reptile feeding. Use them to retrieve items from the bottom of your tank or use to feed your pets.